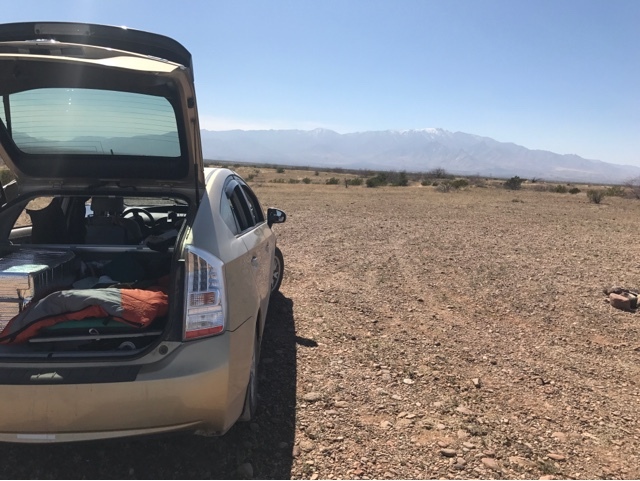 My mode of operation in the desert is to point my Prius nose towards the sun. 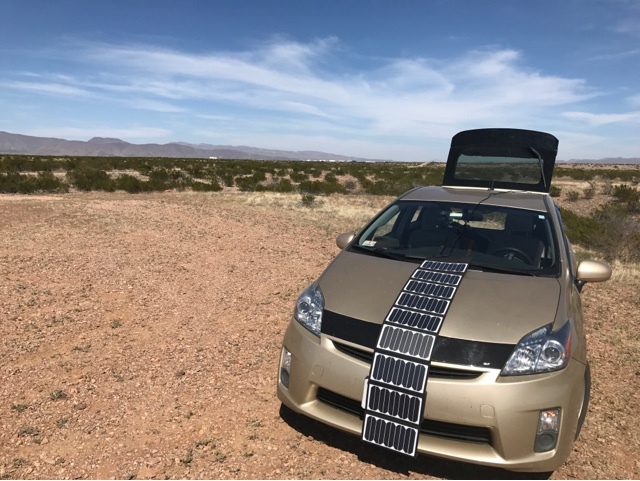 The Prius being small, and solar panel hangs above the ground, I'm actually able to move the Prius around to continue to point toward the sun, without removing the solar panel. In the past I would set up my chair behind the car with the hatch open or along the side of the car so I could stay out of the direct sun. 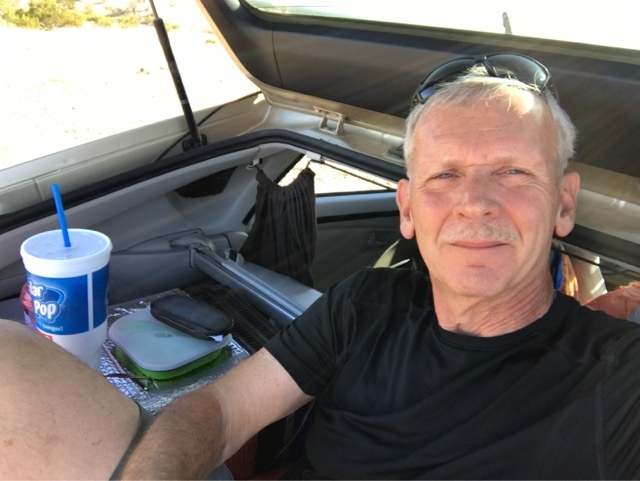 What I found out while in the desert on BLM land near Safford, was that if I took the two foam pads I use on my plywood seat behind the driver, and lean then against the privacy screen bar for a backrest. Then I slide in the back with the hatch open and sit with my back resting on the foam pads that are resting in the privacy screen bar. I'm padded underneath as I am sitting on my foam mattress and my sleeping bag. I don't need to take out my chair and with the hatch and windows open my compressor fridge isn't in an enclosed car where it is hot. It was in the mid 80's when I tried this with full sun and I enjoyed the comfort of relaxing and sipping my cold drink. Ingenious! What do you think of those tents that fit over the rear hatch door? yes, I could not figure out how to make a desert storm proof tent that fit on the back of my Honda Fit for standing up, getting changed, cooking etc. for 2. That led to my present rig of Tacoma with fiberglass camper. You have a great design for your Tacoma. I know you will figure more updates as time goes on.